Holy Mass and Adoration: The community joined at 11 am for the Eucharistic adoration followed by the Eucharistic celebration. Fr. Jins, the Misister of Thrissure community, Fr. Jaison director for vocation coordinated holy Eucharistic adoration. Fr. Vinay Kumar, the dean of study, celebrated the solemn holy Eucharist and given an inspirational homily oriented towards the religious vocation and formation. 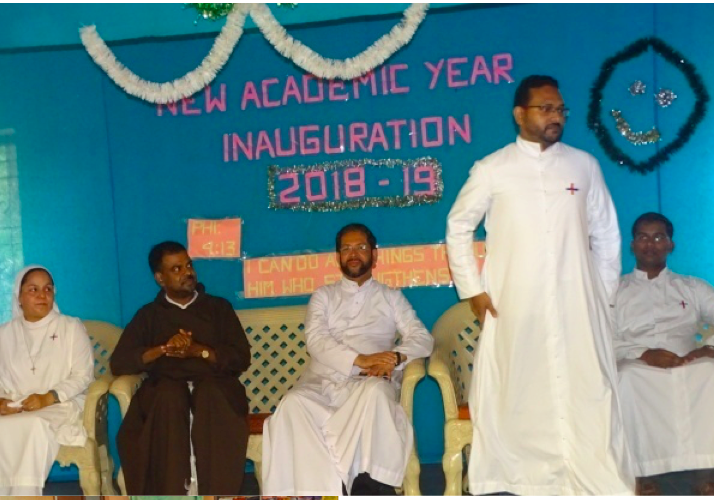 The new Academic Year 2018-19 was inaugurated by Rev. Fr. 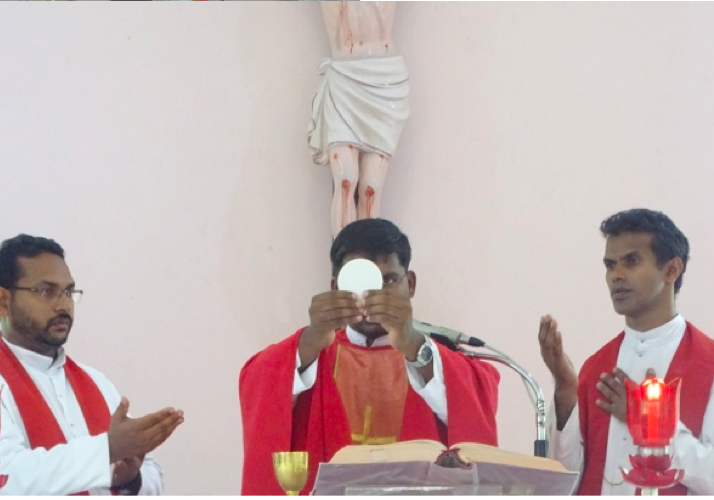 Babu Panattuparambil, parish priest, Arunattukara, presided by Fr. Devis Vithayathil, OFM cap, Rector, the Calvary philosophical college. Sr. Ale, Sr. wilsey and Prof. Baby felicitated the occasion.